Children face the pressure of exams from a young age. 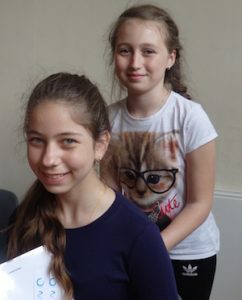 We’ve written this supportive Story Massage for exam stress with the help of a Year 6 teacher in preparation for SATs. This Story Massage for exam stress is written as a reminder of the key points to consider when preparing for a test. 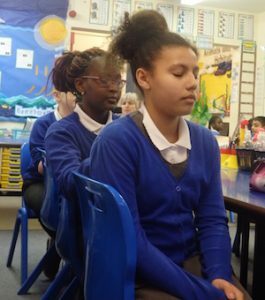 Teachers can use it as a peer massage activity, friends can massage each other and parents can try it at home to promote relaxation and concentration. Story Massage combines the benefits of positive, respectful touch with the creativity and engagement of storytelling. Ten basic massage strokes are the foundation of Story Massage. These strokes have a simple name, such as The Circle or The Sprinkle, and an easy to recognise symbol making it accessible for all. It is a fully inclusive activity, no clothing is removed and no oil is used. Stories can be taken from our Story Massage book, adapted from favourite stories or songs or you can create your own massage stories – like this one for SATs! On our training days we teach you how to share the ten Story Massage strokes and work with you to adapt familiar stories and even create some sensory stories of your own. Ideal for therapists, care workers, Relax Kids coaches, teachers, SEN staff, support staff, therapists, Early Years practitioners, those working with people with additional needs, everyone with an interest in sharing positive touch activities with adults or children.